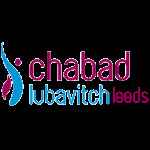 Chabad-Lubavitch Leeds offers Jewish Experience Workshops to Schools and Youth Groups throughout Leeds. In the run-up to Rosh Hashana, the Jewish New Year, the Shofar Factory offers children the chance to make their own shofars or watch one being made and also includes a demonstration on kosher and non-kosher animals. On Chanukah, the Olive Press is a fun way to bring theChanukah Story to life. Make olive oil using a traditional press, light the menorah and make latkes (potato pancakes) from scratch. Before Pesach, children have the chance to make their very own matzah along with hands-on learning about the holiday of Passover and its various observances. Before Shavuot, children have the chance to make their very own cheesecake along with hands-on learning about the holiday of Shavuot and its various observances. Click here for the Sixth Form Discussion Group's Spring Term Card. Click here for the Sixth Form Discussion Group's Summer Term Card.